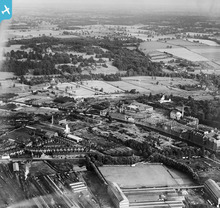 "Airspeed Ltd was established in Piccadilly, York in 1931 to build aeroplanes including the AS.4 Ferry, designed by A. H. Tiltman and Nevil Shute the famous writer. 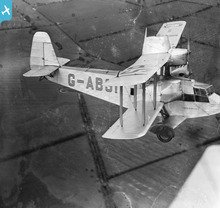 The Airspeed AS.4 Ferry was a three-engined 10-seat biplane airliner. 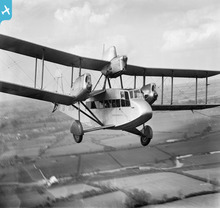 A pleasure flying airliner built for Sir Alan Cobham, the Ferry was an unusual configuration biplane with a third engine mounted in the upper wing, designed to give the pilot a better view. 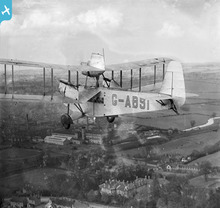 The first aircraft built, G-ABSI Youth of Britain II, first flew on 10 April 1932 from Sherburn-in-Elmet."